In Orlando, domestic violence can happen in any household, in any neighborhood. An accusation of domestic violence can be a genuine cry for help. It can also be the outcome of a shouting match that got out of hand. In either case, the most important thing is to put an end to it. To protect you rights and your safety, contact an Orlando domestic violence attorney at our firm right away. If you have been the victim of domestic violence, or have reasonable grounds to believe you are in immediate danger, please get in touch with an Orlando domestic violence lawyer at our firm as soon as possible. We will aggressively secure your safety and your children’s safety, while seeing to it that your rights are fully protected. The attorneys at the Kramer Law Firm will pursue all legal actions on your behalf, including entering an Injunction for Protection Against Domestic Violence, also known as a retraining order. This will prevent the offender from coming within a certain distance of you, even if they live with you. Once you are out of harm’s way, our knowledge of different areas of law will enable us to protect you in many ways. Because we are estate planning attorneys, we will safeguard your money and your assets. Because we are also Orlando criminal defense attorneys, we have a deep understanding of the investigative processes and strategies the defending attorneys will use if charges are pressed. award exclusive use and possession of the marital home. The Kramer Law Firm is a team of dedicated victim advocates with a deep understanding of Orlando domestic violence cases. If you are living in fear, contact us now by calling 877.493.4847 and we will talk about how we can work to keep you safe. You have valuable rights that must be taken care of. 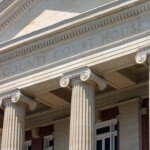 Our attorneys will make sure your case proceeds in court properly. If you are facing charges of domestic violence in Orlando or Central Florida, the Kramer Law Firm will ensure that your rights are well-protected while in our care. An accusation of domestic violence can proceed either as a civil matter or a criminal matter. Do not hesitate to contact us, as our attorneys have experience in both the civil arena, in family law, and as criminal defense lawyers. A criminal charge for domestic battery is a serious matter and is unfortunately all too common in divorce and family law situations. A domestic violence conviction carries far-reaching consequences and can affect your future employment prospects, cause termination from work, affect security clearances, background checks, and other aspects of your life. It is important to understand that the Florida State Attorney’s Office will make the ultimate decision on how to proceed with a domestic violence case – in other words, press charges. It is critical to take action to prevent this from happening, beginning with hiring an Orlando domestic violence attorney who is also a skilled criminal defense lawyer. In no other times have domestic violence cases been more highly publicized. Law enforcement may be quick to make arrests on reported incidents or 911 calls. Our attorneys understand how a heated argument may lead to allegations of domestic violence that may actually have little merit. Other times an accusation may be used as leverage or to gain exclusive use of the home, obtain a quick child support order, or may be based on simple vindictiveness. When an arrest is the result of a flawed investigative process, it must be defended vigorously. If you are innocent of the charges, do not give up hope. As a team, we will make certain your case is handled in the best possible way. 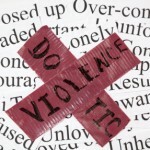 Domestic violence injunctions (restraining orders) are serious matters that can affect you for the rest of your life. A domestic violence injunction hearing is like a trial with evidence and testimony taken. The trial is a civil matter and can proceed independent of, or at the same time as, a criminal case. You will lose your right to keep and bear arms; you must give up all of your weapons, and you can no longer purchase a firearm. If you were living with the person protected by the injunction, you must vacate the home immediately. 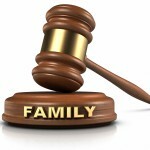 The court may order modifications to child custody or time-sharing due to the domestic violence injunction; you must comply with the modified orders, which may prevent you from seeing your child. If you have a court order as part of a divorce settlement to pay alimony or child support, you must continue to pay the support. Your record is accessible to background checks by employers, landlords, proprietors, educational institutions, and more. This can damage employment, housing, educational, military and other community and civil opportunities. Multiple legal issues are involved in prosecuting or defending cases of domestic violence. Serious consequences will likely endure once a legal charge has been made. You need a strong, experienced source for help. The Kramer Law Firm brings a full arsenal of skills and capabilities to Orlando domestic violence cases. Call now at 877.493.4847 or use our Email contact form on any page of this site.